LU EN APARTÉ: What if we see it the other way around? What if we see it the other way around? I don’t speak Spanish and I am not planning to learn it for the next coming months – I am in the middle of a big project and I have no time for that. It's a shame, I can give you that since it’s been over two years we live in Mexico. But that is the reality of my life here. My children speak better Spanish than I do; I often ask them how do we say that or this in Spanish. This makes me proud of them but makes me feel very uncomfortable. I should be the one to deal with that, not them. My husband's company offered me Spanish lessons a couple of months ago, after TWO years here! Whereas the other expat wives - or trailing spouses like we now like ourselves to be called - were offered Spanish lessons from the very beginning they arrived here. Are we different so we should be treated differently? As far as I am concerned, we are not. The three of us didn’t speak any Spanish but still, they were given Spanish lessons to facilitate their daily life here while I wasn’t. 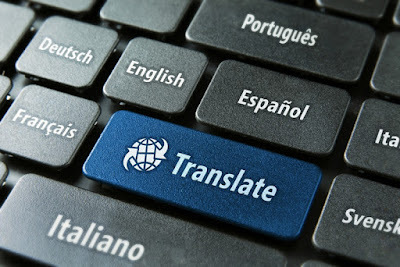 I am not complaining because I managed to learn the minimum Spanish I need on my own, to understand and communicate with my interlocutor, be it my domestic helper or the salesperson in the store to whom I am asking for a specific product. I declined this offer as I think it came a little (way) too late and it's a bad timing as I told you above. Funny enough the one who needed Spanish the most wasn't given any while the others wouldn't use their Spanish very much as they shortened their expat contract - one left already and the other is looking forward to next month to leave back to France. What bothers me the most is not the lack of consideration from my husband’s company. What bothers me, on the other hand, is the lack of consideration of some people here. Not all of the people I met, of course, I know very friendly and helpful locals. Don't take me wrong, I know I should make the effort to Speak in Spanish, especially to the people I occasionally run into who don't speak English. It can only be an asset for ME. For a neighboring country to the US, barely 13% of the population speaks English. That is very little but those people who send their children to the same school than mine are part of this 13 %. And yet they don’t make the effort. The worst part is when I ask something, they simply ignore my questions. I know it's their way to tell me 'Go get some Spanish lessons B*!' Oh I wish I was like that back in China when most of my foreigner friends were all grateful for a kind person coming to help in translating their request in Chinese. In China, no Chinese would expect a foreigner to be able to communicate in Chinese. The school we sent our children to didn’t expect it either and were communicating all in English. The teacher sent their emails in English even if she is native Chinese. While less than 1% of the population speaks English in China. Non-English speaking parents would have to deal with it since it is an international school. So every time I open the group chat and see only Spanish written messages, I often wonder why can't we see it the other way around? Why aren’t you kind enough to help me here? Why don't you take this opportunity to practice your English? There should be a piece of information that should be of interest to me. Because I live in your country? Yes, you are ABSOLUTELY right. We all expect someone living in a country to learn the country’s language. But would that be an excuse for you not to care for me as a foreigner living in your country? Is it an excuse for you to not make me feel welcome here? A friend of mine has her son going to the American school. The rule of the parents' group chat is simple, it's an American school so we speak English and the one who dares to write in Spanish would be banned from the chat if ever (s)he repeats the offense. I find it very harsh. There should a mutual understanding/agreement that says we are in Mexico so we should communicate in Spanish but our children go to the American school so English would also be appropriate; let's make the main discussion language English and still allow Spanish as it's the language of our host country. I hope I am not offending anyone here but I needed to write it down. I need people to understand that YES foreigners living in your country should learn the language and NO that doesn't mean you can expect anybody to speak your language because they live here. If the both of you speak English you should also make the effort if your interlocutor doesn't speak the language of your country. Do you think there is a way to find common ground here? What if the main problem with language barrier comes from the lack of willingness to indulge?